This villa has it all. You'll have access to a trampoline, table tennis, bikes, basketball hoop, a Wii video game system and a private swimming pool. 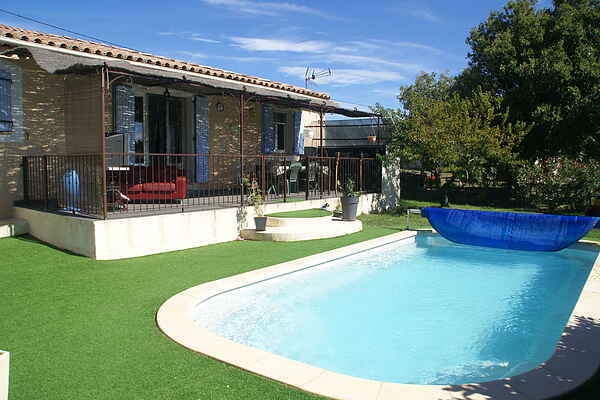 The vacation home is situated in the neighborhood of the Southern French village of Lambesc (1 km removed from the village center), about 20 km away from the beautiful and quaint town of Aix-en-Provence. The garden is enclosed, and consists partly of grass. A visit to Aix-en-Provence is of course a must, and here are so many activities to choose from that picking just one might prove to be difficult. Do you decide on visiting the many museums, the lovely restaurants or a day of shopping for souvenirs and that special perfume? The next day you can plan a trip to one of the many beaches in the area of Carry-le-Rouret (55 km) or go on a boat trip along the gorgeous Calanques of Cassis (72km). The next day you can make the kids even happier by visiting the theme park \"Le Village des Automates\" (up to 9 years) in Saint-Cannat (5km). In the village of Lambesc you will find a movie theatre, a swimming pool, a tennis court, shops and restaurants. 5 bikes are at your disposal.